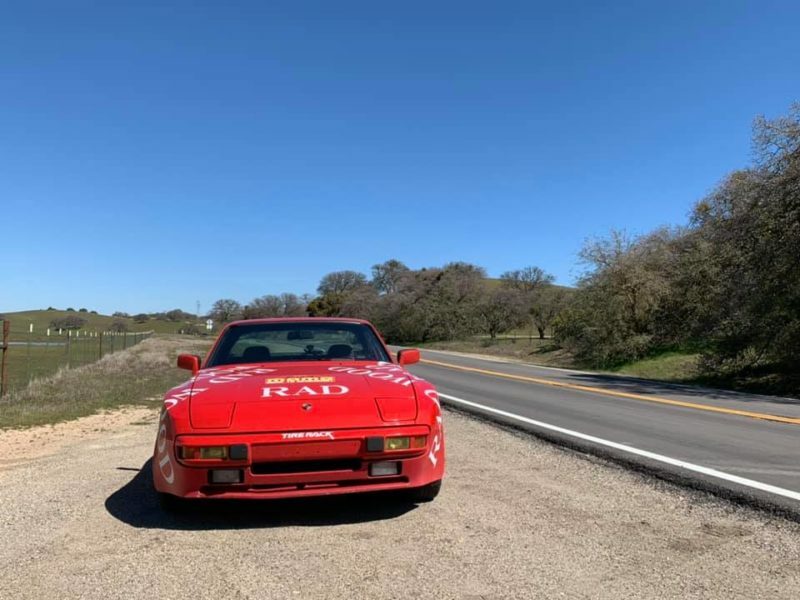 This 1984 Porsche 944 is an incredible tool for certain purposes. For the purposes of driving some of the best roads in coastal Southern California, it may be one of the best tools. This particular example is a European model, originally delivered to a customer in Germany, which means it has a manual steering rack deemed too raw and unfiltered for an American audience (only 1983 US-spec 944s had manual steering). It's a non-sunroof car, which is a true rarity, and features a gorgeous, if faded, pasha interior. It's comfortable and dynamically engaging, and while the A/C does not currently function, the serpentine belt squeals on cold starts, and the whole car smells of fuel with a full tank, it's been a great pleasure to drive this thing for the last year or so. In order to prepare for the rally, I first had to swap in a spare transmission as the original differential decided it was done working this winter. Once that was all buttoned up, the clutch hydraulic system failed on the test drive. And of course, in the process of removing the starter from the car to access the clutch slave cylinder, the starter solenoid gave up the ghost. It's always something with old cars, am I right? Once it was all buttoned up, I took the car for a 50 mile test drive in the mountains (top shot) and called it sorted. The rally was just a week away, and it was as good as it was going to be. Packed up with rations for myself and a co-driver, I hit the road for four massive days of driving that could not have gone better if I had planned it in advance. The first order of business is the trip from my home in Reno to pick up my rally co-driver Adam in Orange County. It's a good long 8 hours of pensive solo driving to get down there, but luckily I enjoy racking up miles. The weather to the west looked nice on the radar, so I took the simple route of I-80 over to CA99 south. It was the boring route, but it'd get me there quickly. Last year I went on this same rally with Adam in my 76 912E, and we had an absolute blast, aside from a minor breakdown. Why not try it again in a different car? I left my comfy cozy Reno home at dawn and headed across the Sierra mountain range. The weather at the Donner pass summit was cold, and surprisingly snowy, but I didn't need snow chains, thankfully. This snow has been piling up all winter, and it's not going anywhere for at least a few months more. Wild to see it that tall, though. Day one was absolutely uneventful. Once I'd convened with Adam, and we had a bit of dinner, we headed to the hotel to meet up with the rest of the participants at the start of the rally in Palmdale. If you're not familiar with the geography of SoCal, Palmdale is a bit inland and northeast from Los Angeles. There isn't much there to speak of, but it allows for easy access to the northern end of the roads in the Angeles Forest. The next morning we met up for a quick hello with everyone on the event. Through three years of attending these rallys, I've become quite friendly with many of the other drivers, and the ongoing joke is that this is something of a weekend camp for big car-loving kids. We'll happily trot across the length of California a couple times a year to enjoy these tremendous roads together. With frequent stops every day to chat about cars and life, it's easy to see why this community comes together the way it does. In that first stint before lunch I became quite impressed with the quality of the Pirelli tires under foot. While I will admit that I'd selected the P6000 tire (in 215/60-15 sizes on all four corners) for this application based largely on aesthetic reasoning, I was floored by how competent these were when combined with the neutral handling character of the 944. There was a seriously impressive amount of grip in all circumstances, even across some of the sections that had seen water and dirt from recent rains and minor mudslides. While this particular 944 is equipped with some thin factory anti-roll bars, and it does wallow a little in corners, the tires kept everything under control. Even with tall sidewalls, it was easy to recognize that there was far more deflection in the suspension than in the tire itself. Even by pitching the car into a tight corner and sawing the wheel sharply, the grip did not relent, and as I approached the outside of the limits of lateral adhesion, the tire communicated quite well, and groaned audibly at the limit. It's good to know that you can still get a good set of vintage-looking tires from a reputable source. I live just a few dozen miles from Tire Rack's Nevada warehouse, so it's quite easy for me to pick up from them and take fresh tires to an installer. When combined with the bronze Campagnolo replicas, this car looks like it's straight out of a 1980s tarmac rally stage, which is perfect for my aesthetically minded desires. Thankfully the performance doesn't suffer because I like my car to look good. Day one of the rally saw us running down some roads that you may be familiar with if you watch some car YouTube folks from Southern California, including Aliso Canyon, Angeles Crest Highway, Little and Big Tujunga Canyon, and on up to Agua Dulce for a lunch meetup. Post lunch it was more of the same with a blast to Ventura for the evening. Saturday woke with the promise of even more awesome driving. I climbed aboard the good ship 944 for a run from Ventura to a tiny little town called Taft for lunch. This was perhaps my favorite segment of the whole day, as the two towns are connected by a twisting and winding Highway 33 that runs up one side of a mountain and down the other. It's about 100 miles of absolutely gorgeous mountain roads that dumps out at the edge of the desolate and empty Carrizo Plains. With the recent record level rain fall, we were lucky to witness a beautiful desert in the midst of a super bloom. It's a good thing I'd packed plenty of provisions, because the tiny town of Taft never saw our group coming. With around 100 cars participating on this tour, the lunch rush was more than many restaurants could handle. 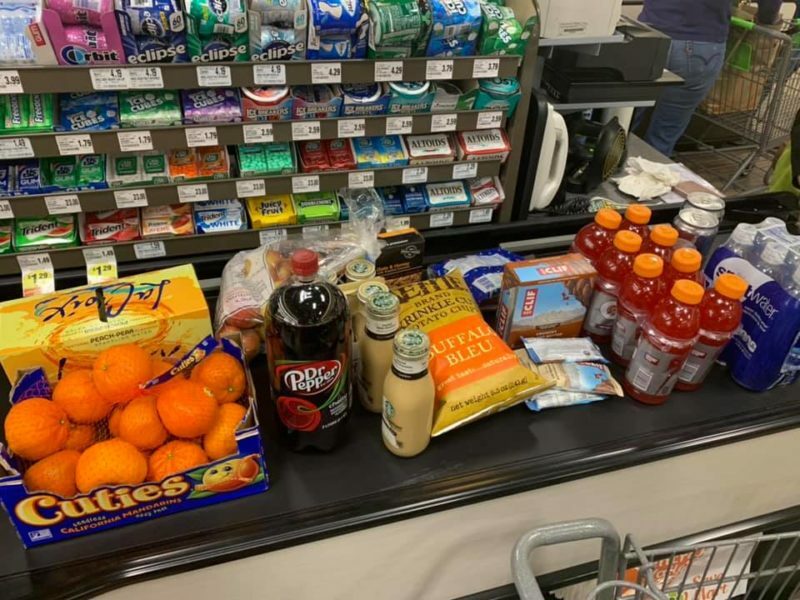 After sitting in one for over an hour without any indication that they had even started on our order, we paid for our drinks and got back on the road with a Clif bar and a fistful of jerky. There's more driving to be done, let's get on with it! On last year's running of the rally, my little 912E had an unfortunate breakdown that took us a couple of hours to diagnose. 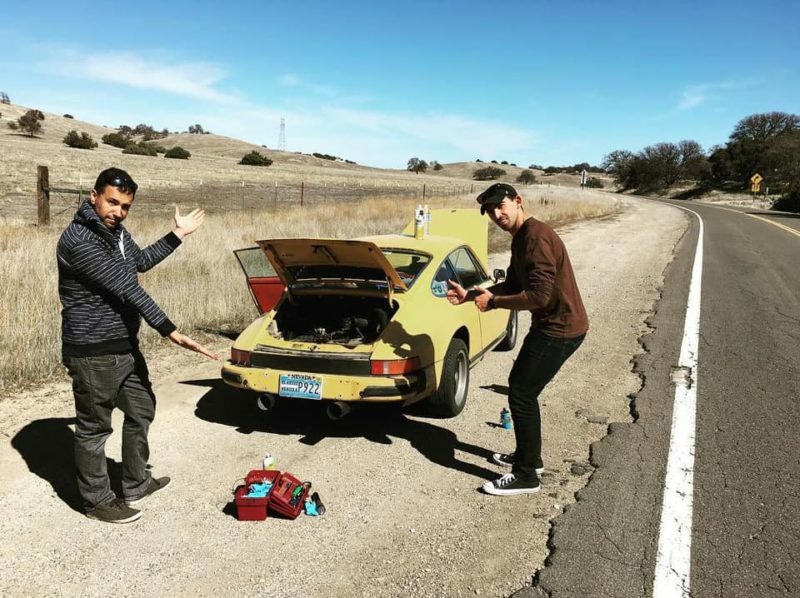 Adam and I accepted some gracious help from Jason Cammisa to get back on the road, and it's run better than ever since. This year, as our 944 was running like an absolute champion, we stopped in the same location to pay homage to our former failings. We left the car running just in case anything were to go wrong, but it all went off without a hitch and we got back in the car for more rippin' driving. Down at the bottom of the hill, we had a short transit out to see the beautiful Soda Lake. While usually the lake is a white and barren desert of dry, the recent rains had dumped enough water to fill it to about half-full. I'd never actually seen the lake with water in it, so it was pretty cool to witness, especially with all of the little yellow blossoms carpeting the hills behind. Day two ended in Paso Robles with a dinner of delicious and well-earned tacos. It was an incredibly fun weekend, but it was time for me to return to the real world. 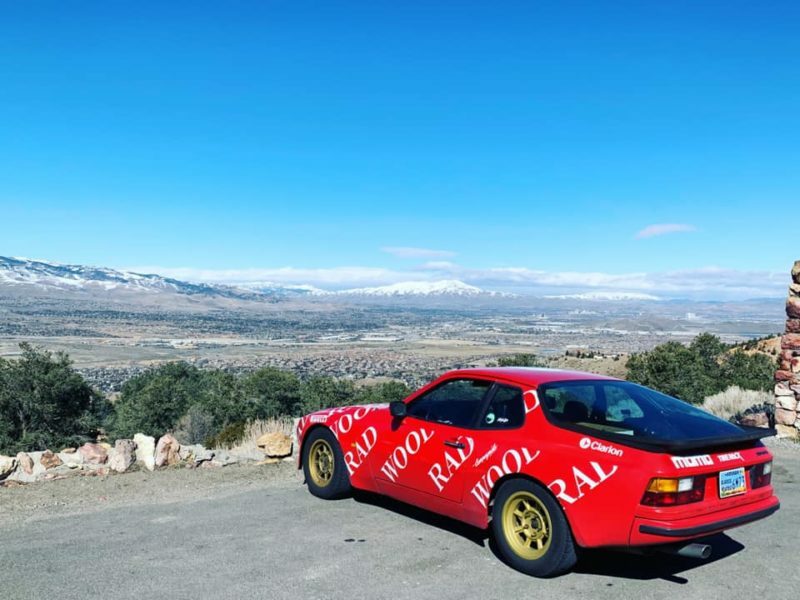 Sunday my co-driver and I returned back to his Orange County home, and then Monday morning saw me making the 500-mile trek back home to Reno, just me and the 944 again. Life is nothing more than a collection of fun memories among friends. You won't remember anything else but the experiences you've accumulated together. I will always recommend a weekend spent driving with friends over buying some new piece of technology or renovating your bathroom. Will you remember the shade of tile you selected when you're on your death bed? Get in your car and go for a rip this weekend with friends, you deserve it. Oh, and if you can, take a 944. You won't regret it. @racing_ali caught a pic of @hove.ab and @turbohbrad fording some water in the #Rad44. What a great day to get rad on the #CRRRewind!